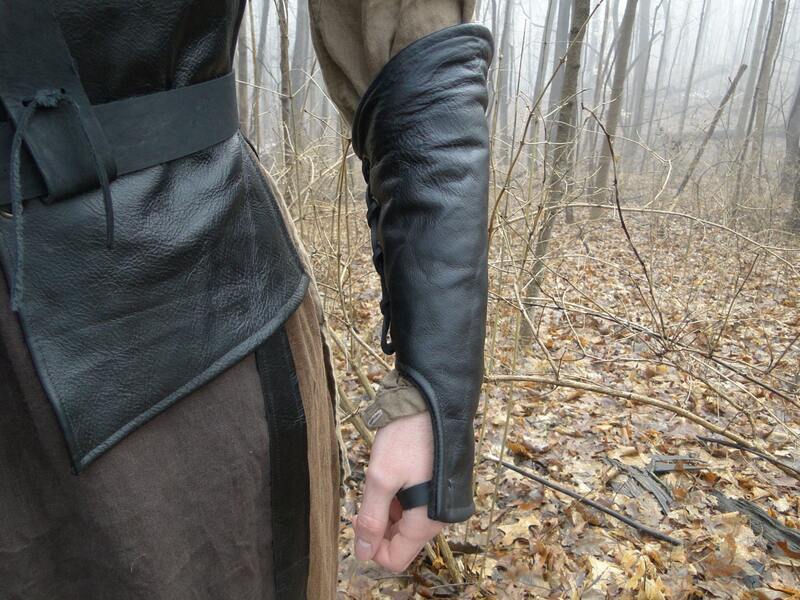 Hand Size 7.5" 7.75" 8" 8.25" 8.5" 8.75" 9" 9.25" 9.5" 9.75" 10"
Pair (2) quality leather Medieval style gloves. Made with soft cowhide leather, lined with felt. Lace up through antique brass grommets. 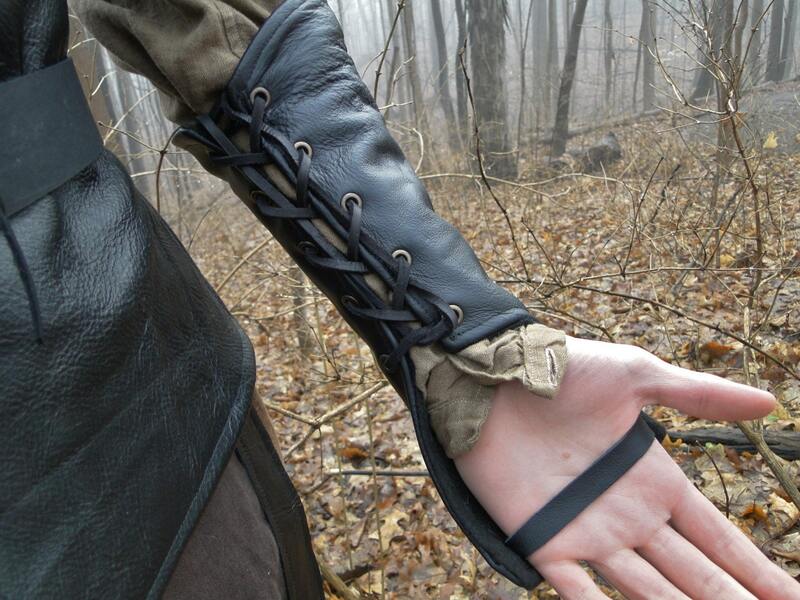 Great costume accessory worn on their own, or layered underneath hard bracers for comfort. Black or dark browns. Exact leather texture and shade of colors will vary slightly from photos. Custom made to fit you! 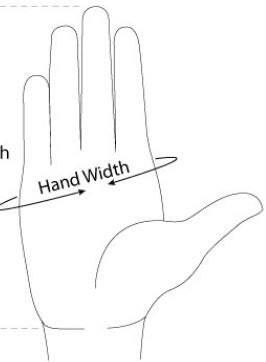 Measure circumference around hand across knuckles, see last picture on this listing for a guide. Beautiful work! 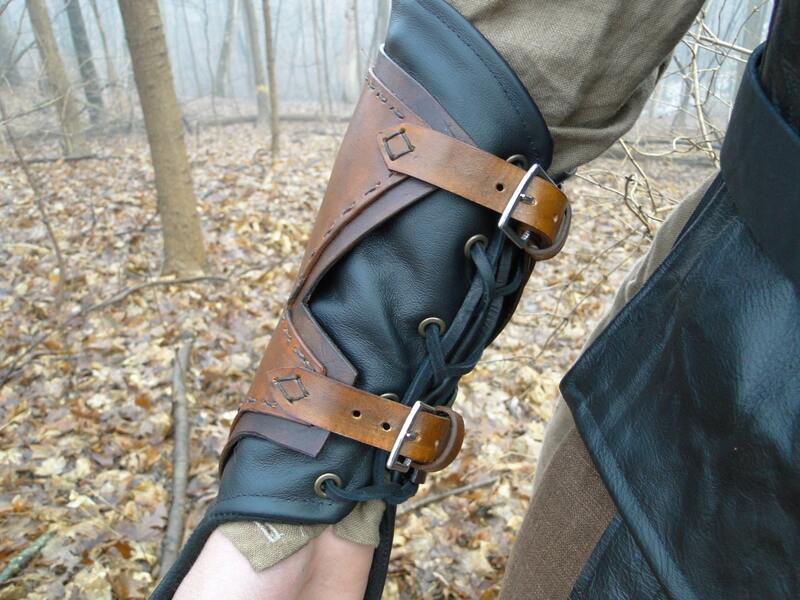 Leather Ranger Bracers! Perfect fit, and beautiful craftsmanship. I bought these to go under some slightly too large bracers I had, and they make everything a perfect, snug. fit. Definitely recommend.